At first glance, the team sheet looked like it had been filled in erroneously; Alan Shearer and Duncan Ferguson, Newcastle United’s star strikers, were both on the bench and rookie Paul Robinson started up front against the Magpies’ fierce rivals, Sunderland. But it was no accident; Ruud Gullit had made the decision that was to effectively bring his spell as the club’s manager to an end. 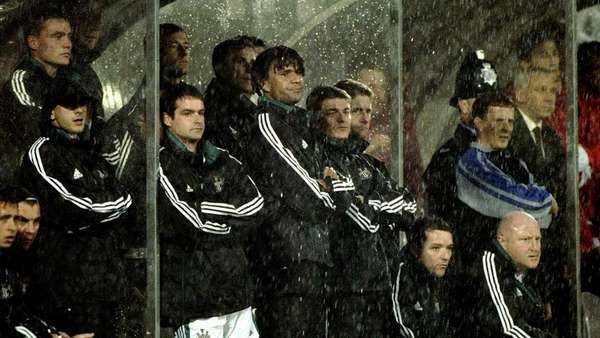 The rain fell and fell and fell at St. James’ Park that August evening, and Newcastle lost 2-1. They had started the season poorly and the derby defeat was the final straw. Gullit resigned five games into the campaign with the side bottom of the table. He had been in charge for just one year and a day. 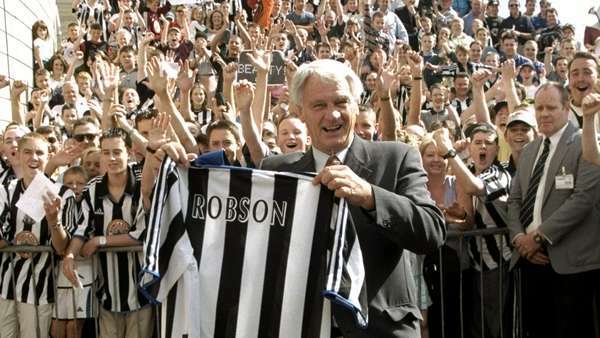 He wasn’t a sir, then – his knighthood arrived in 2002 – but Bobby Robson was already footballing royalty, having won the UEFA Cup and FA Cup with Ipswich, league and cup titles with Barcelona, Porto and PSV Eindhoven as well as leading England to the World Cup semi-finals in 1990. And even better, he’d been born and raised in County Durham and was taken to St. James’ Park by his father as a young boy. If Robson's arrival caused a ripple, his first game would make waves; Sheffield Wednesday all at sea as United romped to a stunning 8-0 win at St. James' Park. The restored and rejuvenated Alan Shearer netted five of the goals. The Magpies were back on course and they sailed away from the relegation zone to safety before reaching the semi-finals of the FA Cup, where they were unfortunate to lose at Wembley to Chelsea. 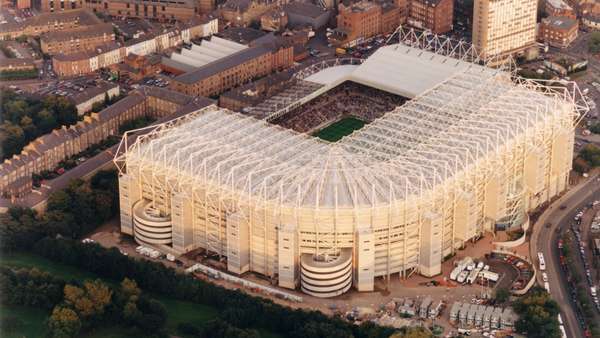 After losing the opening fixture of the 2000/2001 season at Old Trafford to eventual champions Manchester United, the Magpies took on Derby County at the now redeveloped St. James’ Park in front of 51,327 – the highest crowd there since February 1976. Carl Cort and Daniel Cordone both scored on their home debuts and two wins later, United were top of the league. However, an injury to Alan Shearer hit United hard and without his goals, the Magpies struggled to maintain their strong start. Carl Cort finished the season as Newcastle’s top league scorer with just six, but although it turned out to be a somewhat disappointing mid-table season, the supporters had seen some promise and knew that Robson was still building his team. The 2001-2002 season started as early as 14th July as United competed in the Intertoto Cup for the first time, and it proved to be a great campaign for the Magpies. An opening day draw at Chelsea was followed up with derby victories over Sunderland and Middlesbrough and, after December victories against Blackburn, Arsenal and Leeds, United were top of the league at Christmas. In the end, they finished fourth – their highest finish since the 1996/97 season - and that meant qualification for the Champions League. However, United found themselves without a point after three group games and it seemed that their return to Europe would be a brief one. No club had ever lost their first three Champions League games and qualified, but when Juventus were beaten 1-0 at St. James’ and Dynamo Kiev dispatched 2-1, hope sprang eternal. And Craig Bellamy's last-gasp winner against Feyenoord saw the Magpies rip up the history books as they reached the next stage. That led to home and away wins against Bayer Leverkusen and a 2-2 draw away to Inter Milan, but it was the Italians and Barcelona who went through to the quarter-finals. But United continued to excel in the league, finishing third. Lee Bowyer was the only player signed the following summer and an early Champions League exit at the hands of Partizan Belgrade was disappointing, but their league form was still good while there was the consolation of dropping into the UEFA Cup. PSV Eindhoven were beaten in the quarter-finals to set up a last-four tie with Marseille but after a goalless first leg on Tyneside, Didier Drobga scored twice in France to deny United a place in the final. They still finished fifth in the league. However that, allied with a slow start to the 2004/05 campaign, wasn’t enough for chairman Freddy Shepherd and on 30th August, 2004, Sir Bobby was sacked. It was a sad end to his time with the club he loved, but Sir Bobby has never been forgotten on Gallowgate. He made his final public appearance, days before his death in 2009, at a match at the stadium held to raise money for the Sir Bobby Robson Foundation, which he launched in 2008. 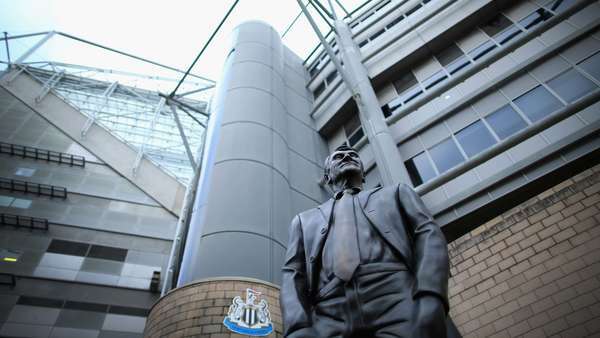 The club remain big supporters of the charity and a statue of Sir Bobby - one of Newcastle United’s favourite sons - now stands outside St. James' Park for generations of fans to admire.